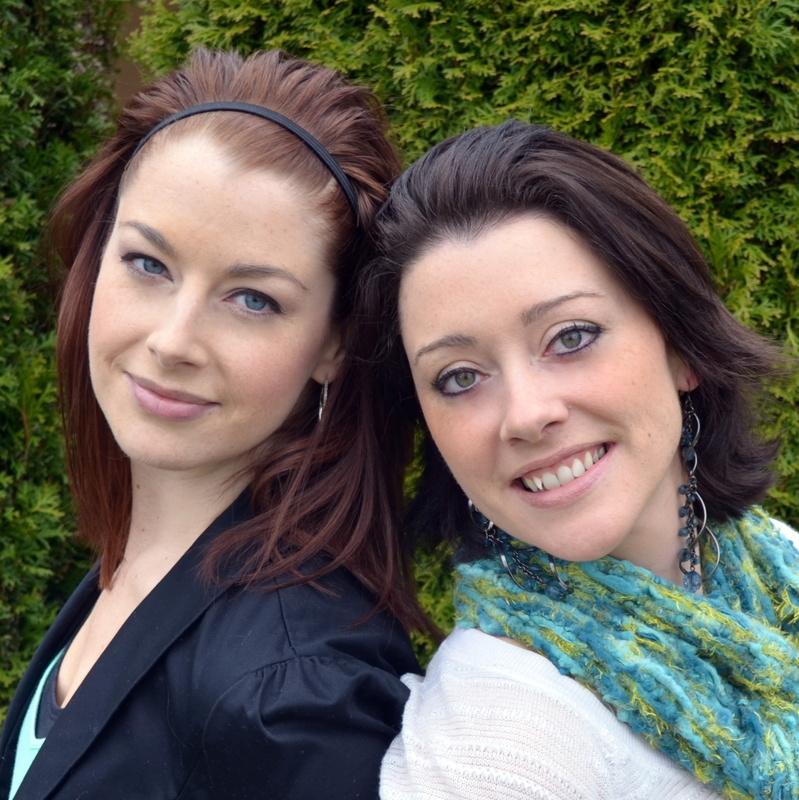 Insatiable Sisters is a collaborative effort between sisters Janna Taylor Noble and Joanie Taylor, the two youngest in their family of 6 children. They grew up in the small town of Talkeetna, Alaska, but life has settled them both in Washington State. They both enjoy creating new flavors and perfecting their individual styles, and they each have an insatiable appetite for exploring new cuisine and learning new techniques! Two Sisters, Two Styles, One Passion!! I’ve loved cooking and baking since I was a young girl, and growing up in a large family provided plenty of opportunities to cook. I especially loved baking cookies around the holidays with my mom and Joanie. We would handle the cookie dough so much that it would become a mushy blob in our hands. After we baked them, our dad would happily dunk them in his coffee and eat them. I’ve often wondered if he just choked them down to be nice, or if he really was enjoying them. Throughout my life I’ve had experience working as a waitress, hostess, barista, assistant sous chef, have poured wine in a tasting room and baked in a commercial bakery. As my culinary knowledge has expanded, and my passion for learning has grown, I have decided to get down to the basics with my cooking. I wanted to do everything from scratch. I don’t want to buy dried pasta, I want to make it fresh! So this has become my passion, my niche if you will, starting from SCRATCH!!! Living in Tri-Cities, Washington, there is no shortage of fresh produce, dairy, and an array of meats, not to mention FANTASTIC wine! My father-in-law usually plants a garden that yields an abundance of produce that I happily experiment with throughout the summer and fall. This is the perfect place to be for a food adventure! So come along with us as we dive into a world of deliciousness! As one of 6 kids, I’ve been cooking since a very young age. I remember making scrambled eggs with ketchup for myself on many occasions. By the age of 12, I had mastered the art of macaroni & cheese from the box, and cake brownies from scratch. Although these were certainly not culinary masterpieces, and the thought of eggs and ketchup makes me shudder now, the experience made me familiar and comfortable being in the kitchen. My real interest in cooking, however, didn’t come about until 2006. I lived in a little town called Homer, Alaska for a year, and it is there that I discovered the satisfaction of creating new dishes and expanding my culinary horizons. I credit much of this discovery to my beautiful friend, Ailsa Hall. She is an incredible self-taught chef, and would create beautiful meals with exotic flavors. It was from her example that I decided to explore and think outside my very small box when it comes to cooking. I realized that there was a big culinary world out there that I wanted to be a part of it. I also credit my mom for much of my cake, cupcake, and candy inspiration. Mom was the local “cake artist” in our very small community. I don’t know how many hours I sat at our breakfast bar watching her decorate beautiful wedding cakes. It’s amazing how much of the technique sinks in, even when you’re just an observer. I still remember watching her pipe out delicate frosting roses, taking note of how she spun the flower nail and held the frosting bag just so. I also remember thumbing through stacks of Wilton catalogues, choosing the cake I wanted for MY next birthday. Mom also, without fail, made some of our favorite holiday treats, such as homemade chocolate covered cherries, which is a tradition I proudly carry on. All that being said, for the past 7 years or so I have been creating original recipes, discovering new techniques, and collaborating ideas with my sister, Janna. We have talked about writing a cookbook for years now, so this blog has been “a long time coming!” We both have recipes that we are known for, recipes that are requested often from family and friends, and we are excited to share those with you! Thank you for visiting our blog! May your passion for cooking be insatiable! I am not a wonderful cook but I do “O K” I am looking forward to watching your blog! Good luck girls! Love you much! I am happy to be your mother and the recipient of many of your delicious recipes! I’m always short on time, like everyone else, but I still like to experiment with new foods and flavors when I get the chance. Reading this blog gets the creative juices flowing and it seems a trip to the market is in order. I really like the layout with the pictures of the process. I can’t wait to try some of these out. My kids can’t either. Great site!!! Keep them coming!!! Thanks, Chris! We are so glad to have you as a reader! We hope you continue to enjoy the recipes. Let us know when you try them, and when you come up with your own. Take care! Ladies! Awesome site 🙂 I can’t wait to try out some of your recipes! Best of luck in continuing it further!!! I nominated you for the Liebster Award! Check out my post to find out more details! 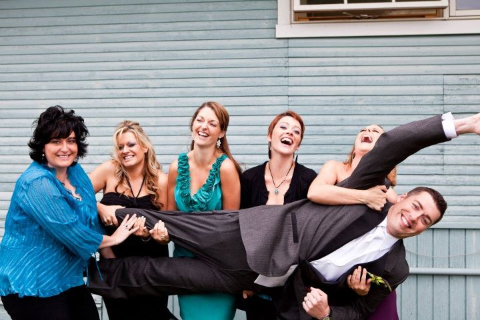 I love that the one boy is outnumbered by sisters!